VATICAN CITY (Reuters) - In a major shake up of the Vatican's administration on Saturday, Pope Francis replaced Catholicism's top theologian, a conservative German cardinal who has been at odds with the pontiff's vision of a more inclusive Church. 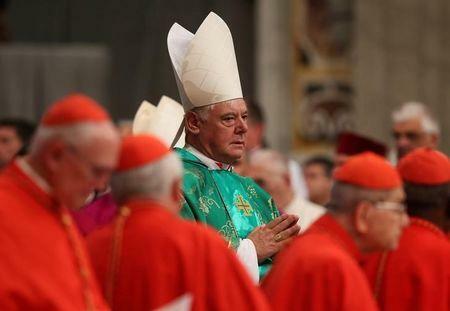 A brief Vatican statement said Cardinal Gerhard Ludwig Mueller's five-year mandate as head of the Congregation for the Doctrine of the Faith, a key department charged with defending Catholic doctrine, would not be renewed. Mueller, 69, who was appointed by former Pope Benedict in 2012, will be succeeded by the department's number two, Archbishop Luis Francisco Ladaria Ferrer. "They speak the same language and Ladaria is someone who is meek. He does not agitate the pope and does not threaten him," said a priest who works in the Vatican and knows both Mueller and Ladaria, asking not to be named. In 2015 he was among 13 cardinals who signed a secret letter to the pope complaining that a meeting of bishops discussing family issues was stacked in favour of liberals. The letter was leaked, embarrassing the signatories. 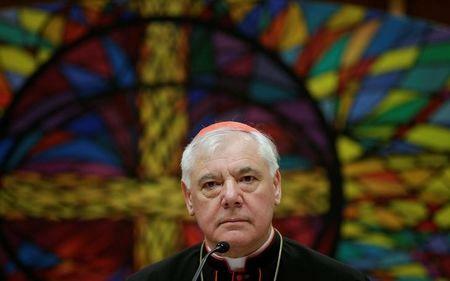 "Clearly, the pope and Cardinal Mueller have not been on the same page for five years," the priest said. Mueller has criticised parts of a 2016 papal treatise called "Amoris Laetitia" (The Joy of Love), a cornerstone document of Francis' attempt to make the 1.2 billion-member Church more inclusive and less condemning. In it, Francis called for a Church that is less strict and more compassionate towards any "imperfect" members, such as those who divorced and remarried, saying "no one can be condemned forever". Conservatives have concentrated their criticism on the document's opening to Catholics who divorce and remarry in civil ceremonies, without getting Church annulments. In the document the pope sided with progressives who had proposed an "internal forum" in which a priest or bishop decide jointly with the individual on a case-by-case basis if he or she can be fully re-integrated and receive communion.